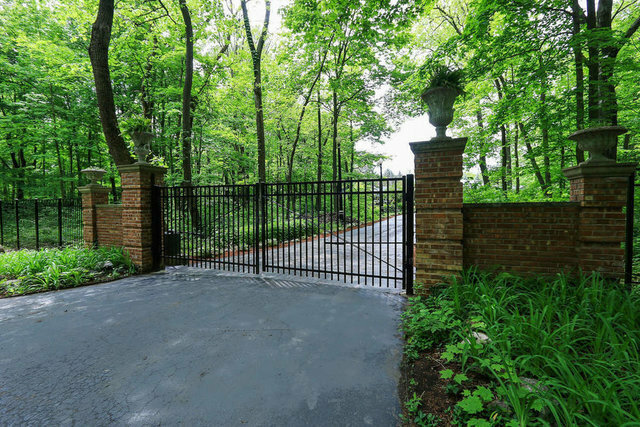 This gated one-of-a-kind estate offers unique architecture set on 3.9 acres. Breathtaking grounds with a natural spring fed lake stocked with fish! The long driveway leads to the sprawling ranch style home. A fantastic home has three wings, eight fireplaces and 5.2 baths. 16 rooms all with their own personality!The first wing has three bedrooms, second master and two full baths. Second wing has a study/library. The chef's country kitchen oozes with charm and the large breakfast room is drenched in natural light. The cozy fireplace is the focal point of the kitchen. A large family room is a gathering room for friends and family. Tons of custom built-in book cases and cabinets. The dining room has a touch of the old southern elegance! The billiard room and fabulous custom antique bar make you feel like you're in your own club.The swimming pool and hot tub are covered by a really unique retractable roof! The property is zoned for four horses and a barn. No flood zone!